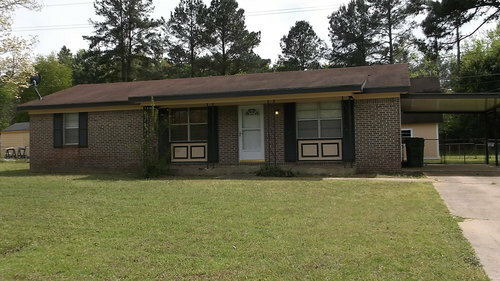 612 Sandalwood Circle, Albany, GA (East Albany) 3 BR, 1 1/2 Baths, brick home. Neat and well maintained. Freshly painted and move-in ready. Screened rear porch, fenced rear yard and wired storage building. Home is approximately 1200 sq. ft. Turn from U.S. 82 on to Johnson Road in East Albany, Turn left on Pinson Road. After turning on to Pinson Road, turn on to the 2nd street on your right which is Sandalwood Circle. Home will be located on your right. Convenient to Marine Corps Logistics Base. Compressor on the HVAC unit was replaced with a new one in 2014. Termite bond and sentricon with Adams.